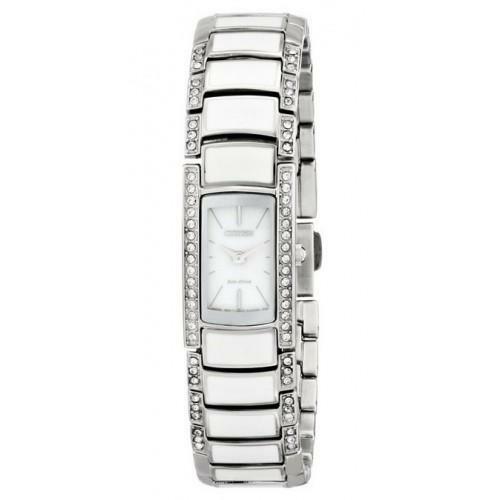 Ladies Citizen white band with crystals eco drive watch. 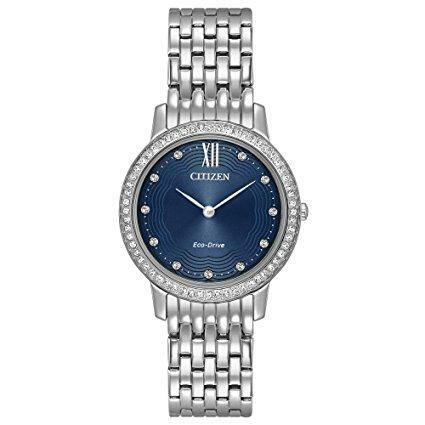 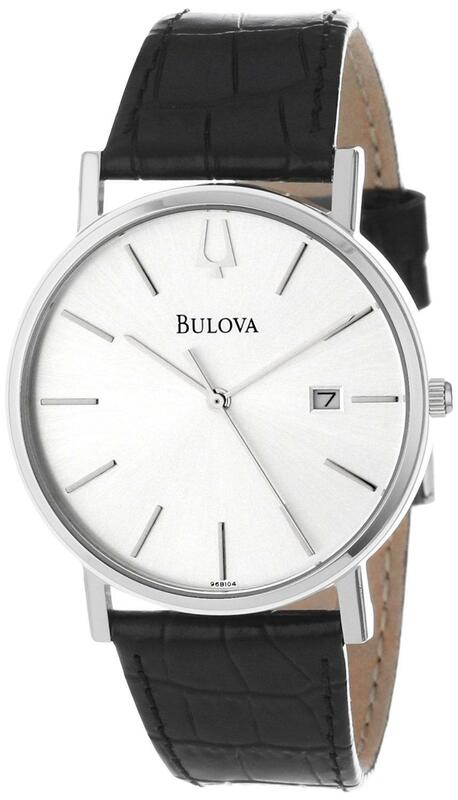 Rectangle watch in silver-tone stainless steel with white resin and crystal accents, Japanese-quartz movement with analog display, Protective mineral crystal dial window, Features jewelry clasp with push button closure. 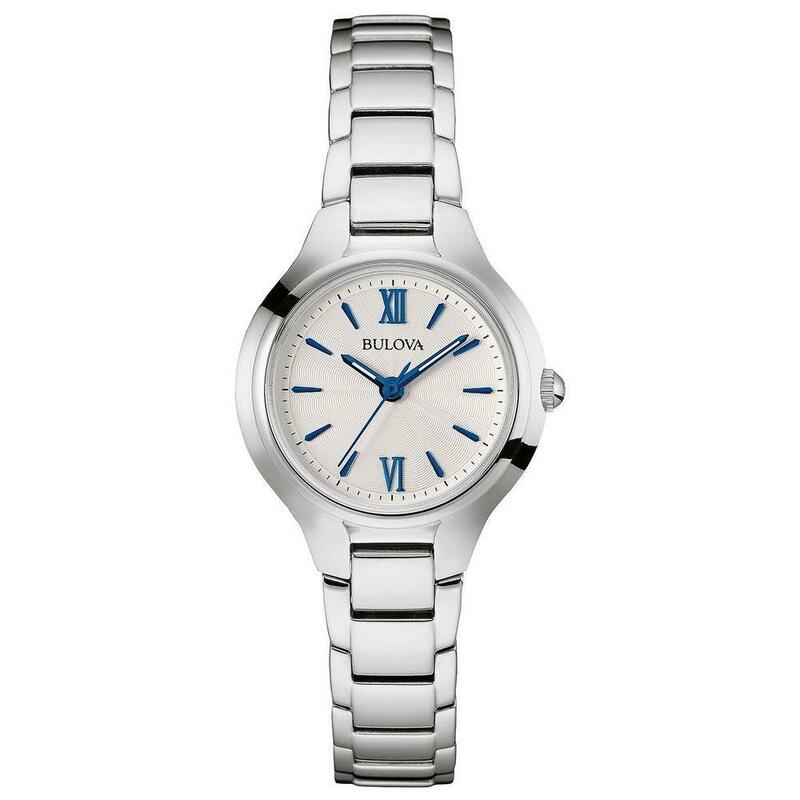 Water resistant to 99 feet (30 M) withstands rain and splashes of water, but not showering or submersion.